Another Simple Valentine. . .
Once again, it is snowing! Wow! I do believe we have had enough this year! LOL! 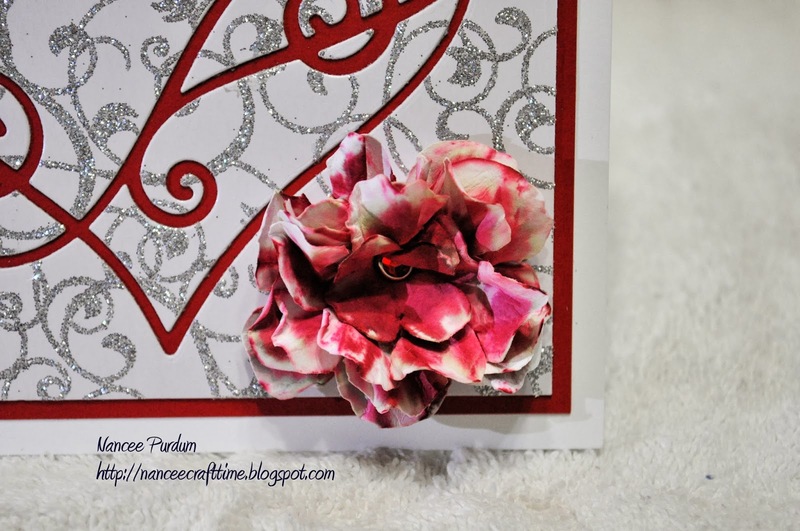 Now that it is February, I need to finish making my Valentine’s cards. 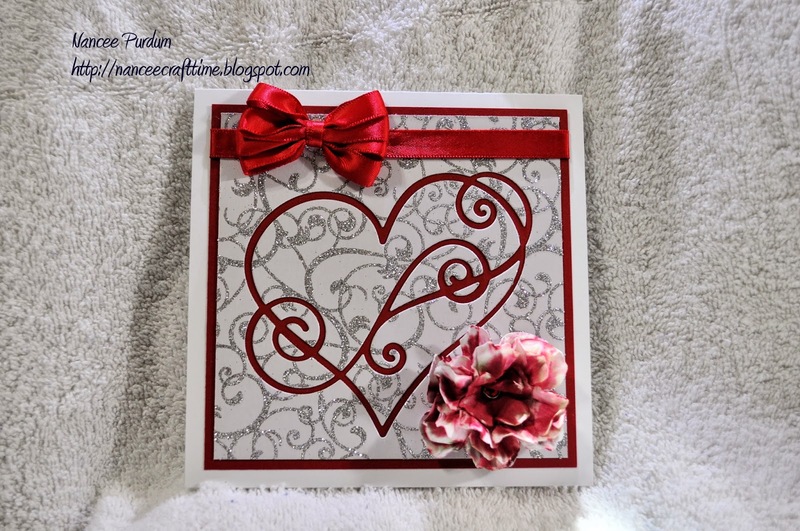 On one of the cards yesterday, I used the Swirling Hearts die from Simon Says Stamp. I had some glitter paper that I used to cut it out, but just couldn’t throw the scrap away! I decided to use the reverse of the die. I had to dig a few small pieces out of my waste can, but I found every piece to use on this card. I needed something in the lower corner to balance the bow, so I decided to try to make my own flower. I don’t have many flowers in my stash and had seen some really pretty flowers made from paper. I decided to give it a try. I was really happy with the way it turned out. It really helped to balance the card out. This was really a simple card. I only had to put it together with pieces…no extra die cuts! I used my Bow-It-All to make the bow. Well, off to make another card!